Key Housing, leaders in providing serviced or short term furnished apartments in Northern California, has chosen EPIC of San Jose as January 2018’s featured apartment for the Bay Area. 2018 is already looking like another busy year in the Bay Area. Key Housing, the industry leaders in short term, corporate, and so-called "serviced apartments" in Northern California, is proud to announce EPIC furnished apartments has been selected as the featured property for January 2018 in the Northern California region. The San Jose serviced apartments have been chosen to represent the best in Bay Area short-term employee housing. Europeans on holiday and business travelers may need to plan ahead to book one of the best Silicon Valley serviced apartments for the New Year. Demand for Bay Area corporate housing has extended to the San Jose area. To keep up with the influx, Key Housing has added EPIC as a San Jose serviced apartments for January, 2018. To learn more, visit http://www.keyhousing.com/rightside.asp?location=san%20jose or on the blog, visit http://blog.keyhousing.com/tag/san-jose-corporate-rentals/. Bay Area extended-stay apartments may include amenities such as meeting rooms, on-site laundry, laptop stations, game rooms and easy access to shopping and dining. It should be noted that while Europeans often search for "serviced apartments" in San Jose, Americans would refer to these as "furnished apartments." Here is background on this release. Planning ahead may be the credo for persons scheduling work or play in Silicon Valley for 2018. Finding housing in the area has been difficult and could become tighter moving into the New Year. Locating top-notch serviced apartments for contracted employees may need to happen months in advance. It might be prudent to consider the type of amenities required for lodging a contracted employee or VIP. Business travelers may demand on-site meeting rooms and laptop stations for team projects. After hours requirements could include proximity to outdoor activities and a short drive to grocery shopping. Booking one of the best San Jose serviced apartments can mean starting the search early. For these reasons, Key Housing has announced EPIC as the featured property for January 2018. Planning ahead to review and schedule the best San Jose serviced apartments could secure the right environment for a contracted employee or VIP. Amenities can include business facilities for group meetings including laptop stations and on-site parking. If employees need to unwind outdoors after business hours, Coyote Creek Trail can be found nearby for nature walks. The combination of a fully-furnished kitchen and short drive to grocery shopping may help watch a food budget. 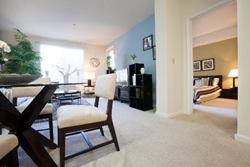 Finding a top-notch San Jose serviced apartment may be difficult in the New Year. A smart move could be to plan early by booking a top furnished apartment in San Jose. Based in Folsom, California, Key Housing Connections Inc. specializes in corporate housing and corporate housing in large cities like San Francisco, Los Angeles or San Jose as well as smaller cities like Sacramento, Culver City and Walnut Creek. Key Housing is a leader in affordable, friendly, short-term and corporate housing in places like Capitola, Santa Barbara, Hermosa Beach and just about every city in California. Europeans searching for San Jose serviced apartments may find a list of choices. Whether it's serviced apartments or a furnished rental, just search, click or call today!